The necessity for prayer has been taught at all times by all religions, and forms of prayer have been given to their followers. People hold different opinions with regard to prayer. Some maintain that as God knows all their wants, why should they pray? Others wonder if it is alright to pray, when God knows what is best for them. Others say that praise is the only prayer, while some even claim that they themselves are God, so that for them there is no necessity for prayer. Regarding the latter class of people it may be said that all the masters and holy ones have taught not only the necessity of prayer, but their own lives have been lives of continual prayer. The following little story gives us an illustration of this. Abdul Qadir Jilani, a great Sufi saint, was one day engaged in prayer, when in a vision, he saw the semblance of an angel, who addressed him saying, 'O thou who hast prayed continuously all thy life, to thee God sends the good tidings that no more prayers are required of thee.' The saint, recognizing the tempter, replied, 'Be gone, thou wicked one, I recognize thee in spite of thy angelic disguise: thou art a devil come to tempt me. All the holy ones have passed their lives in prayer, and how can I deem myself worthy to be exempt from it?' On hearing these words the evil one vanished. To those who ask, 'Is it right to pray for our wants?' it may be said that man has always sought to express himself. If for instance he has conceived some scheme or plan that he wants to carry out, as a rule he seeks out a capable and trusted friend whose advice he values, to whom he can confide his ideas. Or, if he is in trouble or distress, he goes to a loving and kind friend for sympathy. In both cases he shows his limitation. If man with his sense of justice judges himself worthy of that for which he prays, then he is amply justified, regardless of the opinion of the world as to its rightness, and he attracts the answer to his prayer. If a man has agreed to work for a certain sum of money, and knows he has worked well and earned it, he feels himself justified in claiming his money. And so it is with prayer, when a man knows he deserves that for which he prays. Before praying for the mercy of God, man must first learn to recognize God in all around him, in the care and protection he receives from all. God's mercy shows its hands and eyes everywhere in nature, so man must try to imitate it in his own life. He will then attract to himself the mercy of God. If our actions are harsh, we naturally attract the wrath of God. To the class of people who claim that they are God, the answer may be given in the words of the Urdu poet, who says, 'Man is not God, but man is not apart from God.' One drop cannot call itself the ocean, yet the drop is part of the ocean. Those who lay claim to this should bear witness to it in their lives, and if they can do this, then they will keep silent and not speak one word about it in the presence of others. There is a necessity for praise in prayer, praise of the beauty of God, for man must learn to recognize and praise the beauty of God as manifested in all His creation. In this way he impresses beauty on his soul, and he is able to manifest it in himself, and he becomes the friend of all and is without prejudice. For this reason the Sufi cultivates his heart. The emblem of the Sufi is a heart between two wings, meaning that when the heart is cultivated man can soar up into the heights of heaven. When man is on the lower planes, he sees things as tall, short, beautiful, or ugly. But if he ascends in an airplane and looks down from above, things appear uniform and the same. So it is when man has raised himself up to the higher planes: all things are the same to him, he only sees the One. Man is perfectly justified and right in praying for all his desires, and there is nothing that God is not able and willing to grant. But man should distinguish between what is transitory and what is lasting, what is worthwhile for his own benefit, and what is worthless. Beauty of personality, devotion, love, are all desirable, but not those things that are transitory and unsatisfying. 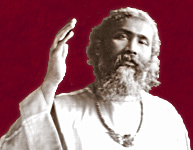 There are some people who have reached the stage at which they are beyond all desires, both earthly and heavenly, but they still continue to pray, because prayer brings them still closer to God in their limitation, and they expand from the state of limitation to the state of unlimited being. This is the highest meaning of prayer. A man who does not believe in prayer, in times of illness seeks a doctor, for no one is self sufficient. In life everyone needs kindness, sympathy, and help of others, however rich or mighty he may be, and this explains the need for prayer. What man cannot do, God can do, and what is done through man, is also done by the command of God. 'Not even the weight of one atom is concealed from the Lord,' says the Quran. Some months later bad times came and famine was rife in the land. The peasant was near starvation when he thought of the ring. He set out for the city, and on arrival there, showed it to an official, who immediately conducted him to the king's presence. When he arrived he found the king on his knees in prayer. When the king had finished, he rose from his knees, and asked the peasant what he could do for him. The man, who was surprised to find that his friend was the king, and still more surprised to find him on his knees, asked him why he was in that posture. The king replied that he was praying to Allah. The peasant asked, 'Who is Allah?' The king replied, 'One even higher than myself, the King of kings, and I am asking Him for my own needs and for those of my people. This story teaches us that every seeming source is a limited one when compared with the real Source, the God whose dominion is over all.